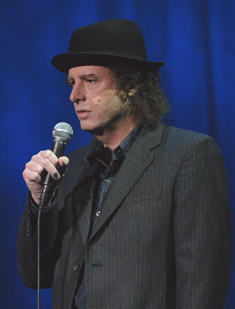 Academy Award winner Steven Wright is a prototype comedian that many others continually try to follow. In the 1980s, he soon found himself performing his off-beat routines on “Saturday Night Live,” “Late Night with David Letterman,” and numerous trips back to “The Tonight Show.” Known for his dry wit and one-liners, Steven has starred in two HBO comedy specials and several movies and sitcoms over his career. The approximate runtime is 90 minutes.